February is going to be filled with art! 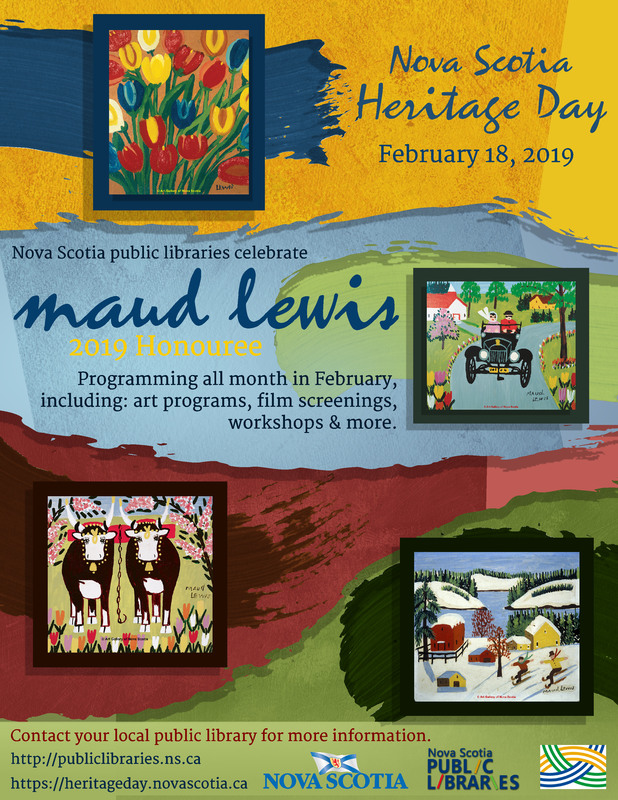 Nova Scotia Public Libraries launch “Celebration of Maud Lewis”, the 2019 Nova Scotia Heritage Day Honouree, during the month of February. More than 100 programs scheduled in public libraries across the province! This exciting series celebrates and highlights Maud Lewis and her contribution to Nova Scotia and includes everything from: “Paint Like Maud” programs, film screenings, crafts, folk art workshops, artist talks, children’s programming, teens, seniors and more.